Please give me your thoughts regarding the weather in Lisbon and Porto over the holidays (Christmas and New Years). I like to take my family to a different place each year for the holidays but weather is always a factor for us ‘walkers’. A couple years ago, the rain in Spain became a pain the entire trip. We have had good luck in various parts of southern Italy, but would like to venture to Portugal for something different. Should I stick to Italy and feel safe? I’m a walker too and know exactly how it feels to be on a journey and to end up walking through the rain! Now my aging bones need some warmth and I’m planning a trip somewhere warm and tropical this year. But getting back to the point, I asked my young nephews about the winter season in Lisbon and Porto and they told me that during these cold months the weather in Portugal is milder in the south and colder and rainier in the north. Unfortunately, the winters are wet and windy both in Lisbon and Porto. Due to its Atlantic coastal location, Lisbon can be very misty and has an average rainfall of over 100 mm in December and in Porto the winter can be even rainier than in the Portuguese capital. If you still want to visit Portugal and be sure to find great sunny weather, I would suggest you to go a little bit further South. The could be the ideal destination for a winter break, because it enjoys typical Mediterranean weather and has particularly dry winters. Additionally, it is the best time of the year to find off-season budget accommodation options and fewer tourists. 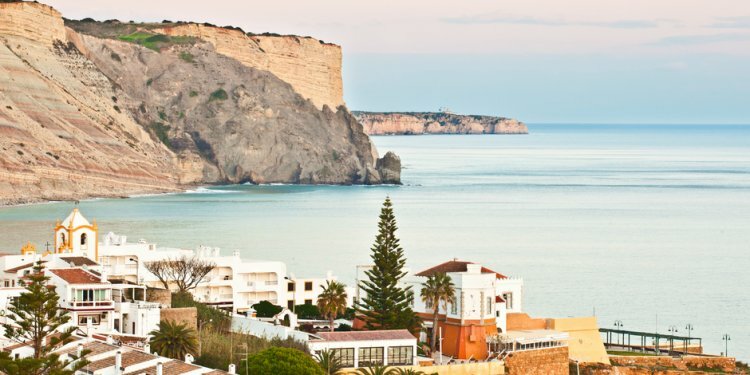 Especially the Eastern part of the Algarve doesn’t really have a winter season and if you are lucky, it could be great for walking and even bird watching. Of course, and the ideal vacation destination if you want to get a better cultural immersion and take advantage of low hotel prices. Southern Italy and Sicily are excellent for winter holidays, especially for seniors like me escaping from cold climates! If you wish to discover new places, try the beautiful area around the Como Lake. Here the rainfall can be very heavy in May but is generally moderate in December.